An Oakville resident says he was shocked after getting a big lotto win. 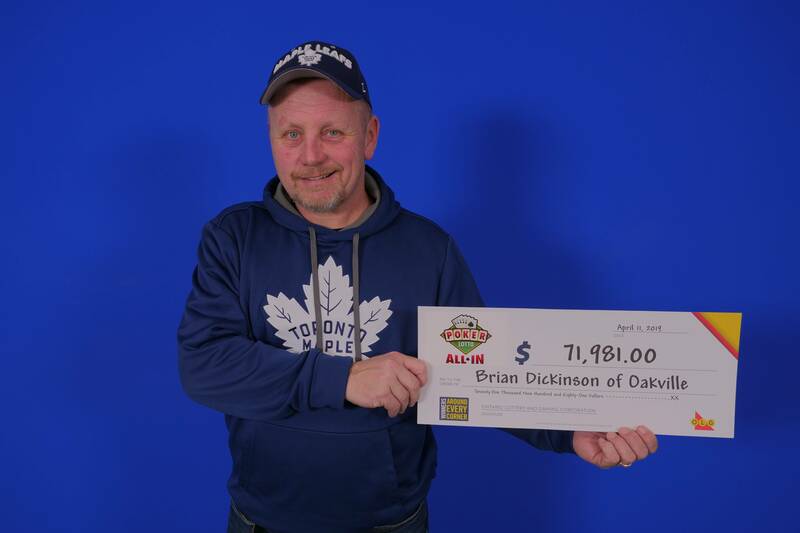 52 year old Brian Dickinson was recently congratulated by OLG for winning $66,981 in the Poker Lotto All In jackpot on January 24, 2019. He also won $5,000 on the instant portion of his Poker Lotto play, bringing his total winnings to $71,981. The married father of two works as a transit operator. "This win is like a breath of fresh air. It feels like I'm hitting the reset button,” Dickinson said while picking up his cheque at the OLG Prize Centre in Toronto. He plans to spend more time with family, save for retirement, and buy a new truck. The winning ticket was purchased at Husky on Fourth Line in Oakville.